This home is a multi-organization partnership that provides comfort and care to the homeless or vulnerably housed until natural death. Support is also provided to their families and loved ones. 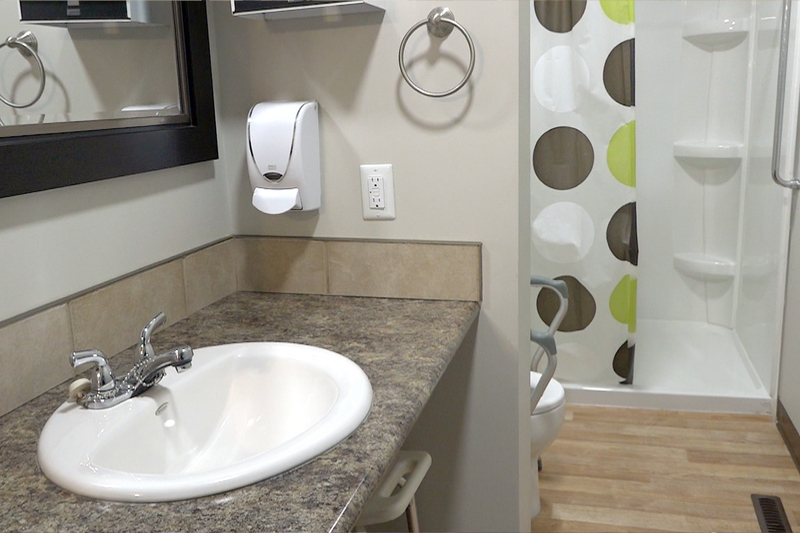 The St. Joseph residence is wheelchair accessible and can accommodate four individuals. Each person has a decorated bedroom that includes a hospital bed, recliner, television, and other comforts. The kitchen, living room, and other spaces are communal. St. Joseph works collaboratively with Pilgrims Hospice, Boyle McCauley Health Centre, and Boyle Street Community Services for volunteer support and other expertise to provide the best care for the residents. St. Joseph home is designed specifically with a harm reduction approach to provide care to adults who are vulnerably housed or homeless. St. Joseph is located in Edmonton. Residents are expected to pay a monthly room and board fee. Funding for St. Joseph is provided through community support and the Sign of Hope, an annual appeal for ministries offered by Catholic Social Services. Referrals may come from multiple avenues including hospitals, community agencies, family, friends, and the individual themselves.